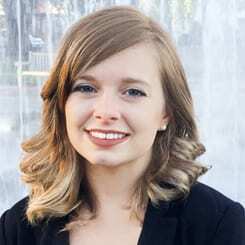 Brittany Gaustad graduated from OSU with a Master of Public Policy in 2015. She is currently a research assistant at the Institute for Transportation Research and Education at North Caroline State University. Her research interests include environmental and energy policy, conserving energy through everyday behavior, social movements and the impacts of globalized commodities on environmental quality. While at OSU, she conducted research on perceptions of public participation processes in the siting of liquefied natural gas facilities in Astoria and Coos Bay, Oregon.